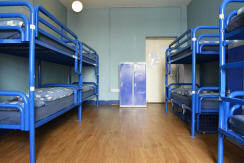 Dublin International Hostel is part of Hostelling International and YHA. 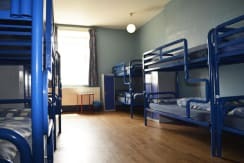 We are at the heart of hostelling in Ireland with over 85 years commitment to young people and their travel adventures. 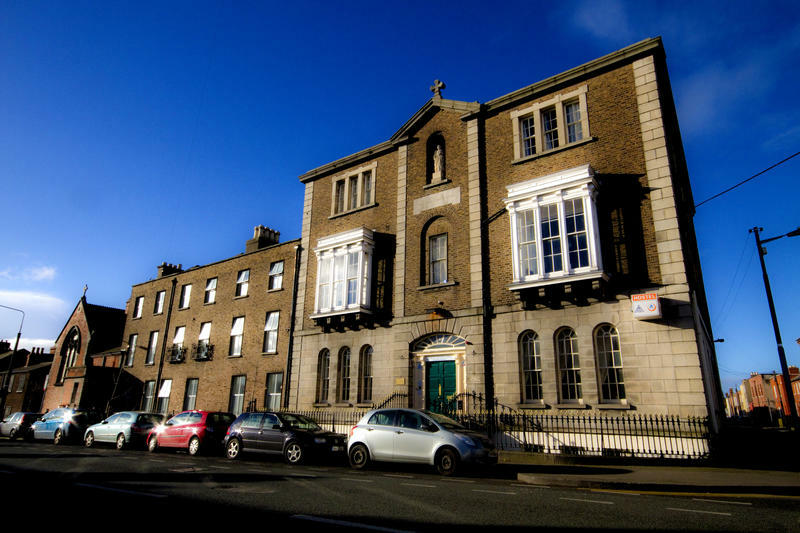 The Dublin International Hostel is a listed building that was once a Convent School and Church for the local community. Today it welcomes visitors from all over the world looking for the craic. Book your tours at discounted rates from our reception team. Explore Dublin with a Free Walking Tour that picks up from the hostel every day. 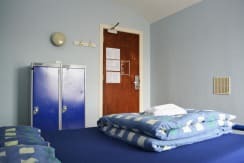 Families with small children under the age of 16 years must book private rooms. 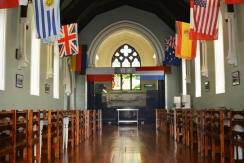 An Óige/YHA/Hostelling International Members will get a 10% discount on accommodation at any of An Óige Hostels on presentation of a valid Hosteling International or YHA membership card. Get off bus 16/41 at stop 52. Walk to Sam’s Barber Shop and take the pedestrian crossing to the Green Cake Shop. Continue up the one-way street called Blessington Street. Walk to the end of this street and take a left at the orange and black shop 'Deli Suz' on to Mountjoy St. 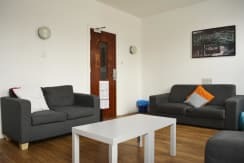 The Dublin International Hostel is 100 metres on the right hand side of the street, No. 61, with the Purple Georgian Double Doors. Push the buzzer to the side of the door and come on in. Continue north past Parnell Square Garden of Remembrance and Mayes Pub (Nth.Frederick St). 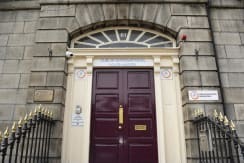 Cross over Upper Dorset St to the Green Cake Shop and continue up Blessington St, at the end of Blessington Street, turn left at Deli Suz onto Mountjoy St. 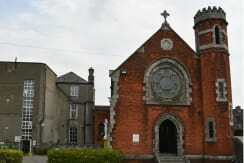 The bus will take a sharp right past the Black Church onto Mountjoy Street. Push the buzzer and the bus will stop next door to the hostel outside the Mountjoy Street Spar. 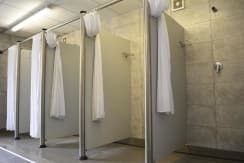 Go out the main doors of the bus station, either follow the Luas tram lines to the left or follow the signage to O'Connell Street. Follow directions from O'Connell Street above. Go out and down the stairs to the main street. Cross at the cross walk and continue in the same direction down Talbot Street. 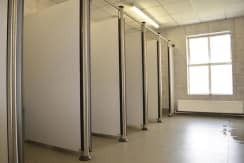 This will take you all the way to the Spire on O'Connell Street. Follow directions from O'Connell Street above. Go out of the station and to the LUAS tram station, a ticket will cost( E2.50) Take tram to O'Connell St (Connelly Station direction). On O'Connell street follow directions from O'Connell Street above. This goes straight to the city centre main bus station (Busaras). Walk to O'Connell St and either follow the walking directions from O'Connell St.
Take the Dublin bus 46A (€1.50) from outside the McDonald's to the right of the GPO. Push buzzer after you turn right at a large church in the middle of the road. The bus stops outside Mountjoy St Spar, the hostel is next door to the left. Head west on Alexandra Rd towards 1st Branch Rd N. Take the 1st right onto 1st Branch Rd N. Take the 1st left onto Tolka Quary Rd. Slight right at East Wall Rd/R131. Turn left at Lower Drumcondra Rd/N1. Continue south towards the city centre along Drumcondra Road through until you get onto Dorset St Lower then Upper Dorset St. At the intersection of Upper Dorset St and Blessington St you need to go straight through this junction as you cannot turn right on to Blessington St. Take the very next right onto Wellington St (at the Meeting Point pub). The Dublin International Hostel is at the top of this street. 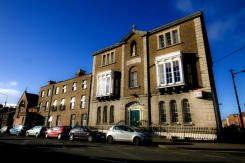 The hostel is at the end of the street on the corner of Mountjoy St and Wellington St.
Head East towards Swords Rd. At Airport roundabout, take the 2nd exit onto M1 heading to heading to áth Cliath/Dublin/Dublin/M50. At the roundabout take the 2nd exit onto M1 ramp to the M50. Merge onto the M1. At Junction 1, exit on N1. Continue south towards the city centre along Drumcondra Road through until you get onto Dorset St Lower then Upper Dorset St. At the intersection of Upper Dorset St and Blessington St you need to go straight through this junction as you cannot turn right on to Blessington St. Take the very next right onto Wellington St (Delahunty Pub). The Dublin International Hostel is at the top of this street. 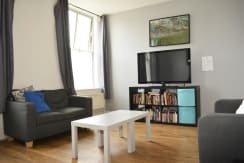 The hostel is at the end of the street on the Corner of Mountjoy St and Wellington St.
15 /20 minute walk to Temple Bar / Trinity College / Grafton Street.